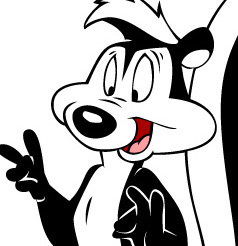 Pepé Le Pew is a fictional character in the Warner Bros. Looney Tunes and Merrie Melodies series of cartoons, first introduced in 1945. 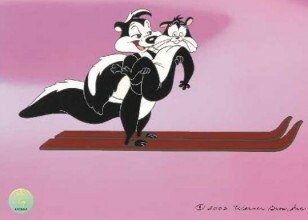 A French skunk that always strolls around in Paris in the springtime, when everyone's thoughts are of "love", Pepé is constantly seeking "l'amour" of his own. However, he has two huge turnoffs to any prospective mates: his malodorous scent, and that he cannot take 'no' for an answer, blissfully convinced that the girl is flirting with him, even when she physically assaults him. Pepé is stereotypically French in the way Speedy Gonzales is stereotypically Mexican.